Coming Soon! Call For More Information Today! Rather than having five different insurance agencies taking care of your different insurance and financial needs, wouldn’t it simplify your life to have one organization and one point of contact to handle all your lines of coverage? We can help you protect and plan for your business with everything from liability to workman's comp, group benefits & 401Ks. Contact us today to find out how we can help your business. Life insurance can be overwhelming, but at Greenway Financial we make finding the right insurance for your family easy. Don't wait, call today to get started. You must be aware by now that United HealthCare, Coventry/Aetna, and Humana have all made the decision to exit the exchange this year. Having a licensed agent assist you this open enrollment can ease a lot of the burden that comes with doing it alone. Click here to learn the value in our Exchange Navigation Service. Plans You Need. Prices You Deserve. Whether it’s Auto, Home, Health, Dental, or Life Insurance, Greenway has you covered. We can help you find the best rates for the most coverage from Top-Rated companies in the Insurance Industry. We even offer additional services such as Medicare Supplement & Advantage, Accident Coverage, Financial Planning, and Non-Insurance Discount Products. Regardless of your needs, we have something for you! and Recieve a Quick Quote! Greenway is proud to offer simple and affordable Final Expense plans that pay out 100% to your family in as quickly as 48 hours! Plus, the process is handled completely over the phone, so no face to face visits are required! We even offer guaranteed issued plans so you can’t be turned down due to health reasons. For a free no obligation quote, contact us today. The prices provided via this quote engine may vary and also may not reflect a complete list of the carrier products we offer. For the best and most accurate quoting, please contact us directly at 1-800- 750-7581 for a free no obligation quote today. Multiple Non-Insurance Discount Related Products and Accident Coverage Services! Signup for our FREE American Savers Club Program and gain instant access to Nationwide Discount Networks and our Personal Insurance Shopping Service. Upgraded memberships are available and offer Identity Theft Protection, Discount Credit Repair Services and Accident Deductible Forgiveness Services ranging from $2,500 to $5,000 worth of potential savings depending upon your plan! We have saved many of our members thousands of dollars through this service for one low monthly fee. Check out American Savers Club today or contact us now to have an agent walk you through all of the benefits. We offer Discount Medical Savings Plans for those who are uninsured or under-insured. Many of our customers utilize Medical Savings Plan Best Benefits because they cannot afford or cannot qualify for traditional major medical benefits in today’s challenging healthcare market. Many utilize our services as an add-on to their existing health plans too. All of our customers enjoy the best discounts and value added services from the best networks and services available! We offer discounts on everything from Dental, Vision, Prescription, Labs & Imaging, Health & Wellness, 24/7 Consult-A- Doc access and so much more! 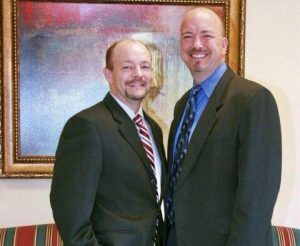 Check out Medical Savings Plan today or contact us now to have an agent walk you through all of the benefits. Signup for our FREE American Savers Club Program and gain instant access to Nationwide Discount Networks and our Personal Insurance Shopping Service. Upgraded memberships are available and offer Identity Theft Protection and Discount Credit Repair Services. We have saved many of our member’s thousands of dollars through this service for one low monthly fee. Check out American Savers Club today or contact us now to have an agent walk you through all of the benefits. Through strategic Planning, our philosophy is to give our client safe and sound investment advice, protecting their Wealth, while growing Assets. 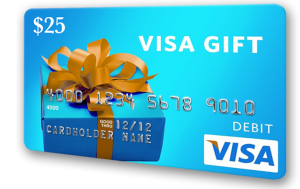 Earn a $25.00 Visa Gift Card anytime anyone you refer purchases an insurance policy with our company.